Do you ever find that when you're scouring the Interwebs for teaching resources, you just can't find what you're looking for? I mean, every class is different and is likely to have different needs. Not to mention that within each class are students who also have individual needs. Rarely would there be a "one size fits all" approach to your worksheets or lesson plans. So your first stop could be the Teach Starter "request a resource" option if you are looking for something in particular. The community then gets to vote on the resources they would also like to see created and each week the Teach Starter team creates the top 10! 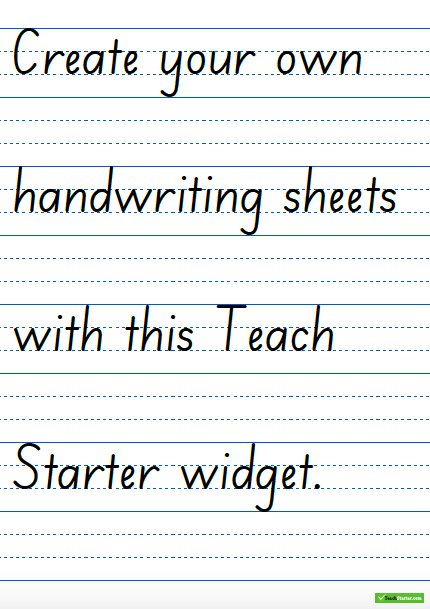 But today's post is more about the custom worksheets you can make yourself using the Teach Starter widgets. I've had a play around with handwriting, sentence starter writing prompts, maths worksheets, and word searches to give you a bit of a sample of what you can create. Go in alphabetical order, either having the focus on the capital or lower case letter. 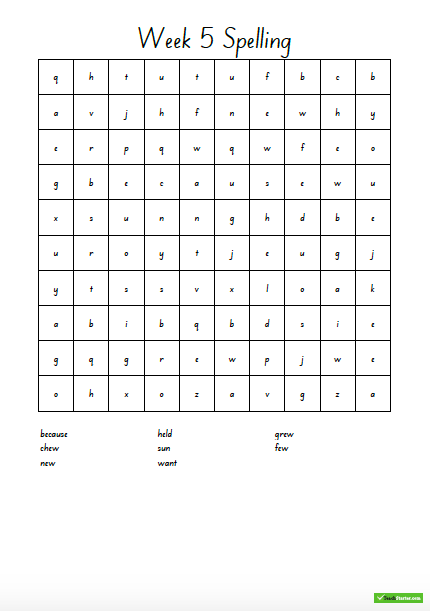 Brainstorm a list of words beginning with that letter and either the teacher, class or individual students creates their own alliteration sentence. If younger year levels use a program such as Jolly Phonics, they could work through the sounds in this order. Use the book Anamalia by Graeme Base as the basis of your program - you'll always have a sentence idea to write! This can turn into a while year book study as the children write the sentence from the book. Use handwriting as an extra time to practise the spelling words or sound/blend of the week. Older year levels could copy a paragraph of text from the class novel they are reading. Don't forget to ensure correct pencil grip in these lessons! 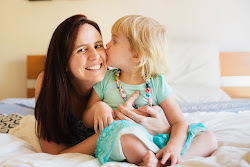 Cindy from Your Kids OT explains why holding a pencil correctly is so important. 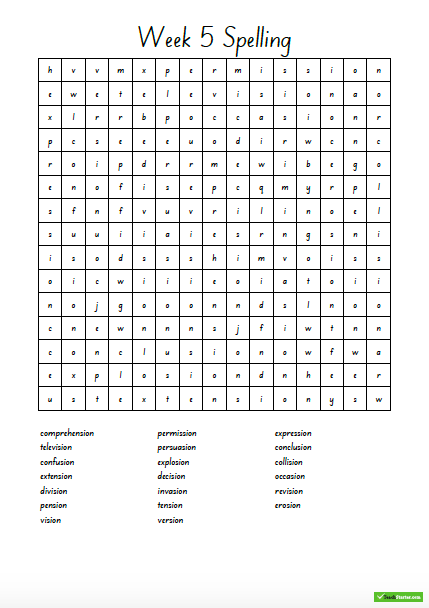 Word searches are such a great spelling, reading, or literacy rotations activity at any time of year for just about any year level. I've seen heaps of teachers doing them in the first week of school with the names of the students in the class. What a great idea! Sometimes kids need a writing prompt to help get them started with creative narrative writing. The random sentence starter widget has so many great ideas - just click the "go" button and a new sentence starter will appear. Let your students choose the one that get's them excited about writing! 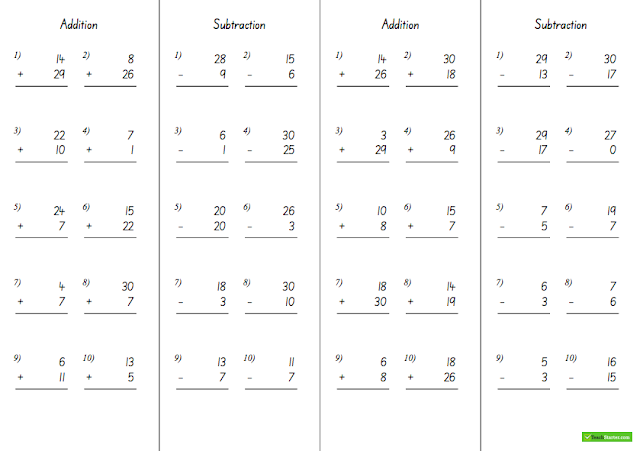 So I'm imagining these maths sheets would be ideal for the older year levels - choose your operations, number of sums and number values to customise them for your class or student groups. 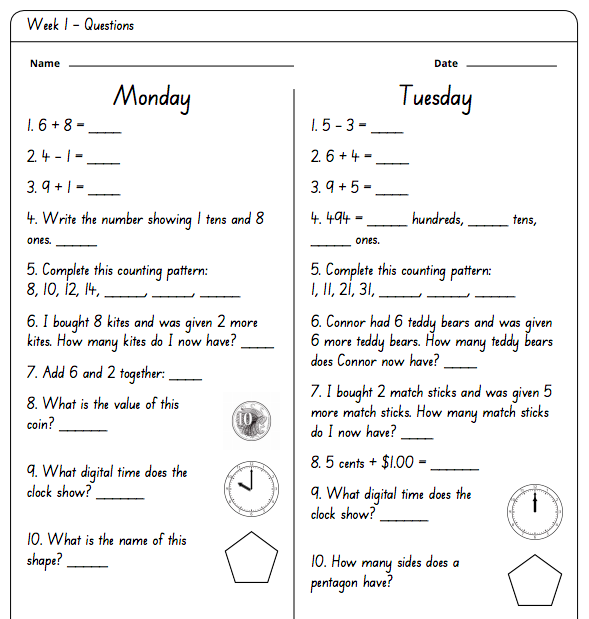 Below is an example of metal maths sheets which include a wider variety of questions, for each day of the week. Might be a good homework option? There is just so much content on the Teach Starter website, but if you can't find exactly what you're looking for, either leave a request or make it yourself! Have a great year teacher types! 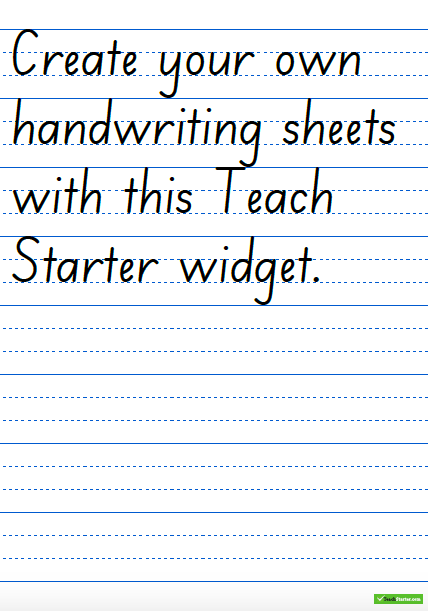 By being organized early with these handwriting sheets, you'll save heaps of time in the long run. 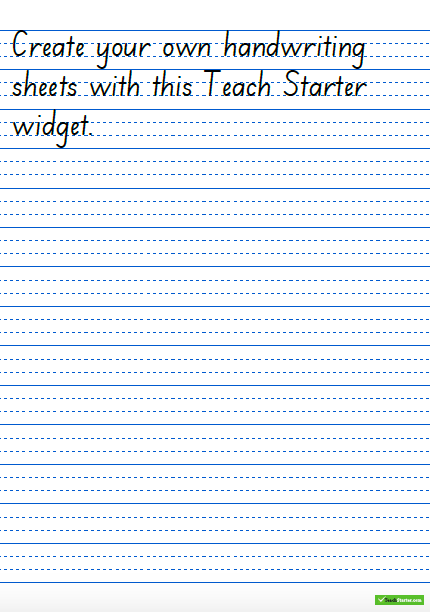 Choose the font, dotted/block lines, spaces and the custom text you want. You can even choose a portrait or a landscape page layout depending on your preference. In case of rewardedessays I use handwriting as an extra time to practise the spelling words or sound/blend of the week.